​Half a century ago Japanese made electric guitar was started copying western models to produce low cost with good quality. In 70’s and 80’s hard rock came an explosive hit and the market became vitalized. Fender Japan, Greco, Ibanez, etc. popular brand came in to the world. Not only for Japanese musicians overseas musician also favored these brand. At that time OEM production took roots in the industry. Made to order at manufacturers. Manufacturers responding customer’s demands Stratocaster, Les Paul types etc. all types of electric guitars and accumulated the skills. Based on these times each manufacturer finds their own concepts and features, and Japanese made electric guitar came into the next phase. It can be said one of the feature of Japanese made guitar is sophisticated. Even the price below US$1,000 the product is carefully made by artisans. Maybe it's the nationality of Japanese Shokunin Damashii (artisan’s manufacturing products spirit) not just only for business. Artisan’s effort might be transferred to the player fineness. 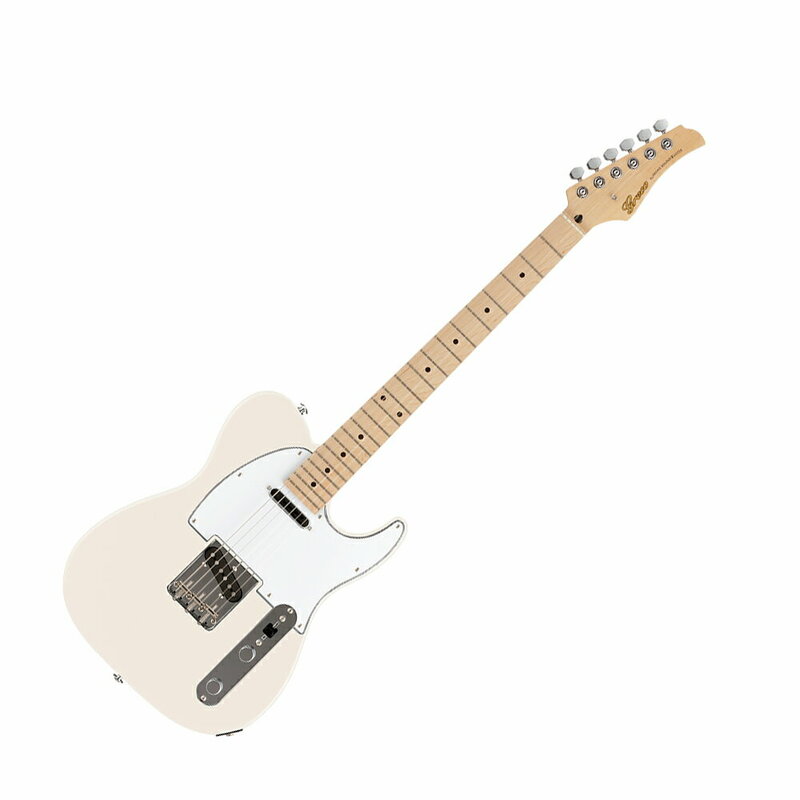 Currently Japanese brand electric guitar is roughly divided into three types, modern type, standard type and vintage type. Modern type Ibanez specialized in hard sound such as Metal, FUJIGEN well established in accuracy of pitch. The specification is opposite of vintage type, sound and playability specialized in a particular genre are attractive. Both manufacture develops their original bridge and its shape. As of FUJIGEN establishing their original theory of frets which constantly creating sounds and performances as of the leader. And also ESP can be said as a modern type. Standard type recently, Stratocaster is a flat fingerboard with 22 frets, and the Les Paul has a tap switch for high performance and functionality are the mainstream. Lots of the manufacturers have kept the appearance and pursuing the ease of use for the players. Vintage is based on the concept of reproducing the masterpieces of the 50s and 60s, Van Zandt in the Fender and Tokai in Gibson are popular. Van Zandt produces a very sweet vintage tone, Tokai insists to vintage style from the manufacturing method. Momose for professional use, Navigator that pursue vintage sound and Freedom attractive deriving specific age sound. Besides of these three, Sugi and STR are the manufacturers pursued the originality and a good balanced sound with high-grade materials and original sharpened theory. Music genres classified finely in recent. And Japanese made guitar has also diversified to it. It can be said players can choose more suitable and preference guitar. Day by day a lots of guitar are being developed. The history goes back to the Jomon period (10,000 BC to 300BC) Things that can be recognized as taiko are excavated from ancient tombs made in the Jomon period. Especially, excavation of a clay figure with drums showed that drums were used from that time. It is said the people from Asian continent brung and the development of Dengaku (traditional art consist from music and dance started in Heian period) it became popular in Matsuri (festival) and Ohayashi (Japanese orchestra) In the Sengoku period (15 to 16 century) Taiko was used to lead the troops that you may see in samurai dramas. 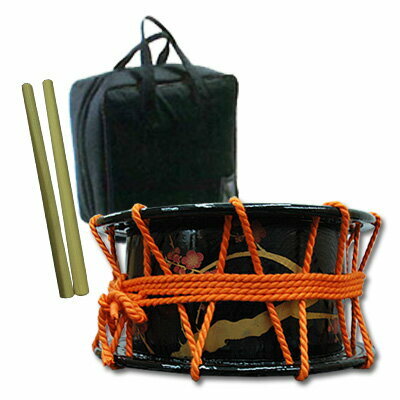 Currently, Taiko are used in Bon Odori, Awa Odori and communicating with gods at the temple and shrine. Also used in Kabuki and Gagaku etc. Generally it takes three years at least but currently some workshop finishes within a year. Cut the timber in an appropriate size. In case of more than 60cm diameter required, 100 years aged tree is used for some Taiko. Drying at this process. ​Shave outer to make beauty curve after hollowing out. Set tensioning, dub to control the sound. Rivet drumhead. 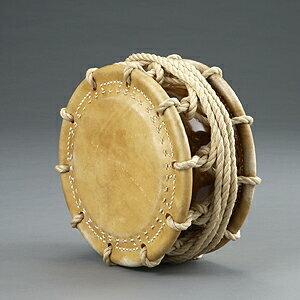 Recently Taiko became popular by Kodo and some professional drummers. If you have interest of the product you can buy direct from Japan on amazon.co.jp and Rakuten Global here under. If this is the first time to buy, see “How to amazon.jp”, “How to Rakuten” on the right side. But maybe don’t need to because it is easy to do. Most people will imagine this type. It also called Miyadaiko which are used at shrines and temples. Most favored material is Zelkova and also Pseudocydonia, Japanese ash, Pine, Cherry tree are used. Recently, rigid urethane and other material are used. 4 Yon-chogake, 5 Go-chogake (thickest) Thicker can make higher tone. 2. Matsuri, folk song, Gagaku (ancient imperial court music and dances), Noh (Japanese traditional arts). Most used in Northern region of Japan. The appearance like Shimedaiko, however not hollowed out. Made of assembled wood. Most types are carrying over from the shoulder to play. The greatest feature is the short trunk and its sound. Does not reverberate like Nagadodaiko, low tone. Shape like an hourglass. Beat direct with hand to play. 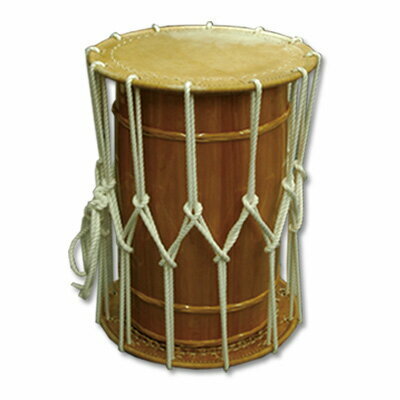 No trunk, round tightened drumhead with handle. 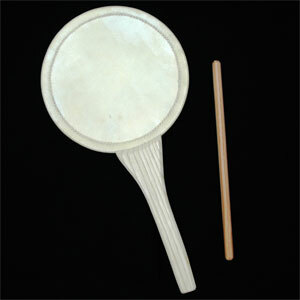 Beating with Bachi (Stick) makes ​sound reverberation. 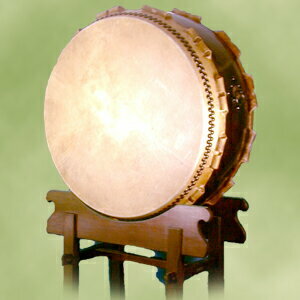 There are a lot of Taiko the types and purpose are different. 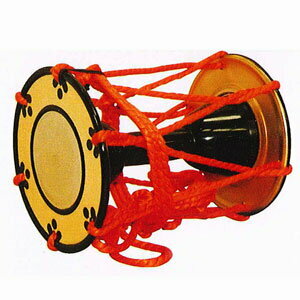 Ordinary use at temples and shrines, for special occasions. 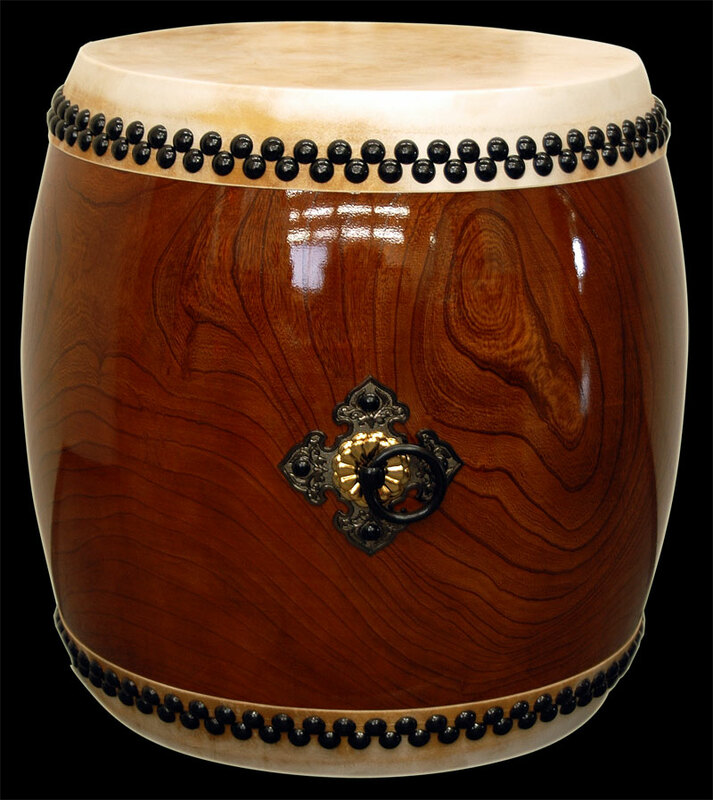 All of it are made by artisans with soul for each Taiko. Enjoy!